Mariko Senju is a violinist born on April third in 1962. Mariko started studying violin with Saburo Sumi at the age of two and a half, and titrated studying with Toshiya Eto at the age of 11. She made her professional debut at the age of 12 by performing with NHK Symphonic Orchestra. She became the youngest winner of Mainichi Classic Contest at the age of 15 and won Laucadia prize. In 79, she also made it to the final of Paganini Competition as youngest age ever. 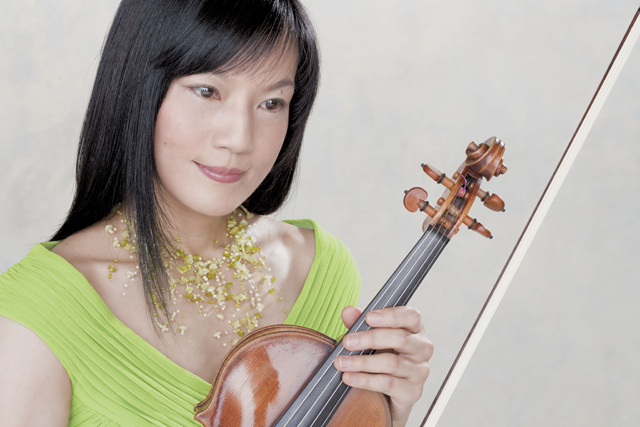 After graduating from Keio University, She was recruited by Giuseppe Sinopoli to perform with “The Philharmonia Orchestra”, making a debut in London as well as Rome. In 2002 , Fate brought her to the legendary instrument “Duranty” by Antonio Stradivari. She also acts as a TV talent appearing on Talk shows, winning more popularity in households.